Just inside the Brentford Gate entrance to Kew Gardens. One of three special Kew Gardens design fountains installed in Kew Gardens by the Association at a cost of £485.10.00. The other two are here and here. 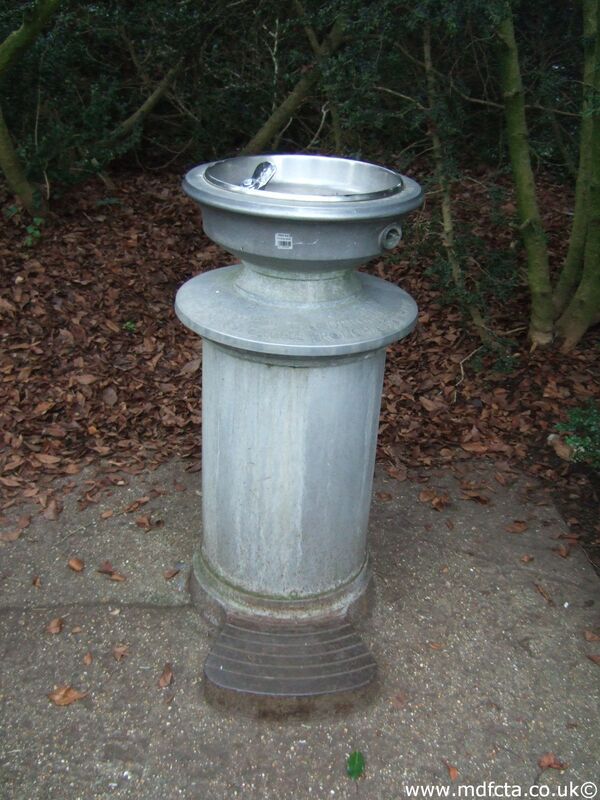 One of several extant Lutyens design drinking fountains.